When shoppers hear about the Toyota 4Runner, they may think of adventure. Yet the cabins offer excellent comfort features and the latest technology. For that just-right combination of sporty and sophisticated, test drive the 4Runner at Gloucester Toyota dealer serving Yorktown VA. If you think the outside is built to serve, wait until you see the inside. Toyota packs inviting standards into the base edition and builds from there. The power driver’s seat and reclining back seats offer greater comfort in a very roomy cabin. A new optional third row can add more seating. You can opt for SofTex leatherette or true leather upholstery. Heated and ventilated seats can take the sting out of the worst weather conditions. Tailgating is more fun with the available sliding cargo deck. Access is easier with a power liftgate and a power-operated rear window. The Limited goes further with unlock-by-touch doors as well as push button start. The edition also has puddle lights for easy approaches and exits. 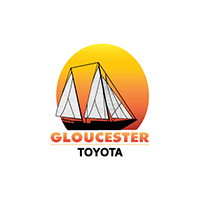 Learn about pricing from Gloucester Toyota dealer serving Yorktown VA. Behind the steering wheel, Optitron instrumentation eliminates glare and lets you see important information at a glance. A TFT display keeps the driver aware of other key functions. An Entune touchscreen puts audio standards in easy reach. You’ll enjoy HD radio, Bluetooth audio streaming, Siri Eyes Free, and convenient apps. HD traffic, HD weather, and the exclusive Scout GPS Link keep you informed about navigational issues. Find out about financing. The Toyota 4Runner is available now in a variety of styles and colors. Take your pick at Gloucester Toyota.